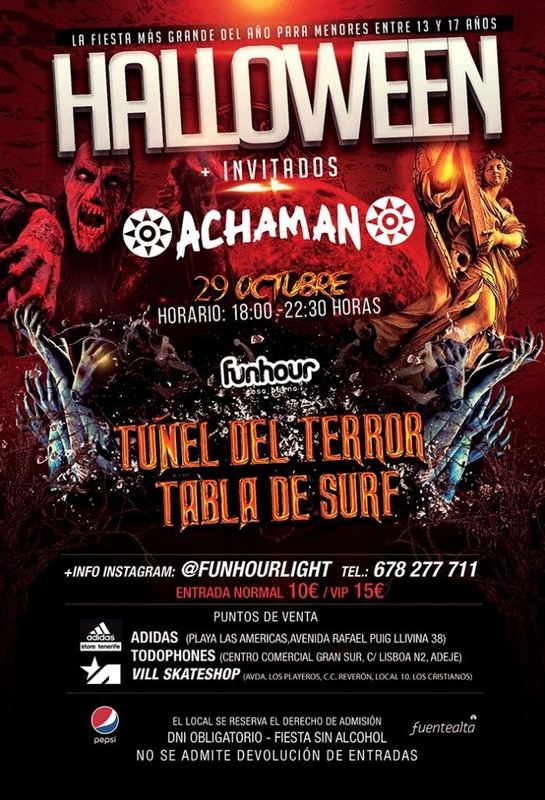 Achaman night club in Adeje is hosting a special Halloween night for 13-17 year olds complete with a tunnel of terror and surf board- promising them a scarily good time! Entrance is 10 Euros or 15 Euros for a VIP pass. There is no alcohol for sale and proof of age is required on the door.